I’ve had several requests for the recipe for my showstopper from the Christmas Bake Off episode shown on Christmas Day. Whilst I could just copy/paste from the document I submitted to the production company, it would make this post enormous and you’d be scrolling for days. In addition, it would take a full four hours of constant making/baking and multitasking in order to replicate the cake in its entirety. I suggest cherry-picking your favourite and having something a lot less stressful in a pleasingly short amount of time. Instead, I’ll reveal the full extent of my CREATIVITY and CUNNING by pointing out – that the majority of the showstopper can be assembled from recipes already on the blog. Much in the same way as <insert trademarked brand of interlocking toy bricks here>, I took bits from here and there and used them to create the various components of the finished recipe. But mostly to demonstrate that it is possible to rearrange favourite recipes that you already know how to make into something new and exciting and delicious. So I made a whole bunch of things and then put them together into one cake. Below is the running order of things I had to make and where I got the original idea. Spice Joconde – a double quantity of the same joconde recipe, but with 225g dark muscovado sugar instead of the icing sugar and just 70g plain flour plus 2tsp each of ginger, allspice, mixed spice. Spekulaas crumb – made using this recipe not formed into biscuits. Bake the crumb for 8-10 minutes until crisp. Lemon curd & Seville Orange curd – 2 batches using the Honey Curd recipe, the lemon batch made with lemon-blossom honey, orange batch made with orange-blossom honey and the zest and juice of 2 Seville oranges. Vanilla Cream x 2 & Spekulaas cream – using the cream filling from this recipe, scaling up each batch by multiplying the recipe by 1.5 (so 300ml of creams, etc) and swapping the extract for 2 vanilla beans. For the spekulaas cream I omitted the vanilla/sugar and added 300g of spekulaas biscuit crumbs. Cut three evenly-sized pieces from the two joconde sponges. Place one piece on a board and spread with a thin layer of vanilla cream. This will both keep the sponge moist and prevent the curd from soaking into the cake. Spread a second piece of sponge with a thin layer of vanilla cream. Put the rest of the vanilla cream into a piping bag fitted with a plain 1 or 2cm tip and pipe dots of cream around the outside edge of the cake both to give a neat appearance and to prevent the curd from leaking out. Pour half the Seville orange honey curd onto the middle of the cake and spread evenly. To prevent the next layer from ‘sagging’ in the middle, pipe a line of vanilla cream from left to right and from top to bottom, dividing the layer into quarters. Add the next layer of sponge using the piece of cake spread with vanilla cream. Repeat the piping around the edge and spread the remaining curd. Lay the remaining piece of cake on top and press gently. Cover with cling film and chill in the fridge (although I used the freezer due to the time limit) until required. As above, using the spice joconde cake, vanilla cream and lemon honey curd. I’ve had a lot of enquiries asking for the recipe for the spekulaas cake. But here’s the thing. I didn’t make a spekulaas cake. I used 2 layers of chocolate joconde and 2 layers of spice cake, sandwiched with spekulaas crumb cream and crunchy Lotus Biscoff spread. The flavours go well together individually (chocolate/spekulaas/Biscoff, spice cake/spekulaas/Biscoff) as well as all together (chocolate/spice cake/spekulaas/Biscoff). So you could use any of these combinations to make your own version. Spread one piece of cake with the spekulaas cream and as with the other tiers, pipe dots of the cream around the edges. Zap some of the Biscoff spread briefly in the microwave, until it softens enough to pour, and use as per the fruit curd in the other tiers. Use as little or as much as you like. Repeat the layering as required. My decoration requests were vetoed so many times, I ended up opting for a variation of something I’d seen on-line. I used strips of lace of different patterns – one was even of Christmas puddings! – and laid them over the top of the cakes, then dusted liberally with icing sugar. Due to the long interval between the end of the challenge and the judging, the icing sugar was starting to dissolve, as you can see on the photo. If you leave this until just before serving, your decoration will be crisp and clear and will wow your guests. I’ll keep the details of the other decorations (chocolate Christmas trees & chocolate choux Christmas puddings) for another time, because there’s more than enough here to keep you out of mischief for the moment. I’m back from holidays and summer is over. Two completely unrelated events, I hasten to add – I am NOT responsible for the damp, muggy, drizzly weather mumbling around lately. But the weather might have something to do with my choice of recipe this week. As always, I return from France inspired and enthused by the food and produce and having snapped up a few books on patisserie and regional food, I was all prepared for a mammoth, cream-filled bake-a-thon. I even brought back some glorious Normandy butter to use in artery-hardening quantities. But instead of all the frills and froth of French patisserie, it turned out that what I actually wanted was a teatime treat in the form of this fruity loaf, faithfully retrieved from a yellowing farmhouse baking book of Yore™. Mostly. Because when I decamped to the kitchen I found that I was the proud possessor of just a single egg and the recipe called for two. I didn’t feel incined to make a trip out just for eggs, so I turned to the web to refresh my memory on apples and egg substitutes.Sure enough, about 60ml of apple puree works a treat, and one eating apple makes almost exactly 60ml of puree. This recipe has dates and walnuts, which make for a delicious tea loaf, but can also make it a little dry, almost dusty, especially if the walnuts arent in their first flush of youth. Deliciously, the inclusion of mashed bananas helps with the moistness and the apple sauce really brightens the flavour with its freshness. Neither flavour dominates, making the loaf wonderfully flavoursome. Finally, it is brought to a rich, batter consistency by a splash-ette of lager – and indeed, Lager Loaf was the original recipe title – but that sounds too much like Lager Lout to my ears – which is far from tasty – so I feel justified in renaming it. And it is a distinct improvement to eat spread with butter, with a cup of something hot. You don’t HAVE to make this with the apple – if you have the eggs, just use two and no apple. Grease and line a 1kg loaf tin with parchment paper. Tear off a second piece of parchment and make a fold down the middle. This piece will be used during the baking. Peel and core the apple, then grate finely into a small saucepan. Cover with a lid and heat gently until the apple has broken down into a puree. Sieve to remove any lumps. If you’re impatient, whizz it in a small food processor. Gently warm the butter, syrup and sugar either in a pan or using the microwave, until melted. Add the lager and apple puree, then whisk in the egg. Mash the bananas. Make sure your dates and walnuts are also chopped and ready. Sift the flour, bicarbonate of soda and cream of tartar into a bowl. Add the liquid mixture and stir thoroughly. Quickly fold through the bananas, dates and nuts and pour into the prepared tin. Place into the oven and prop the second piece of parchment over the tin with the fold at the top, rather like a tent. This will prevent the top of the loaf from becoming too dark during baking. Bake for 30 minutes, then remove the ‘tent’ and bake for a further 15-20 minutes. Be sure to test the cake for done-ness using a cocktail stick/skewer/cake tester before removing from the oven – the moisture in the bananas and apple will make it very moist, so be sure it’s baked all the way through, especially towards the bottom. Allow to cool in the tin for 10 minutes before removing to a wire rack to cool completely. Serve sliced and buttered, and store in an airtight container. A bumper-fun pack of recipes for you as I bid a brief farewell for the summer – there’s too many weeds in the garden and the fruit bushes are burgeoning! I’d hate you to get bored while I’m away, so I’ve prepared a few things for you to play with in the interim. I don’t think I’ve done drinks on the blog before, but I’ve got a trio of delicious variations on lemonade, originating in the 17th century manuscript books at the Wellcome Library. They are each wonderfully thirst-quenching and will make for a delicious treat to have in the fridge. There’s also a sweet treat in the form of shortcake: made with the odd-looking but fantastically-flavoured flat peaches and nectarines, available just now in the supermarkets and in abundance in France where we spend summer holidays – can hardly wait! It is served with Standby Cream, made from evaporated milk and lemon juice. Obviously, cream would be first choice, but if you’re out or the cream you have has unexpectedly turned, then it’s handy to have up your sleeve – and in your cupboard. I found the recipe in an old Whitworth’s leaflet from the 1940s. Sidebar: I cannot stress highly enough the wonderful recipes that are to be found in various vintage cooking and baking leaflets. 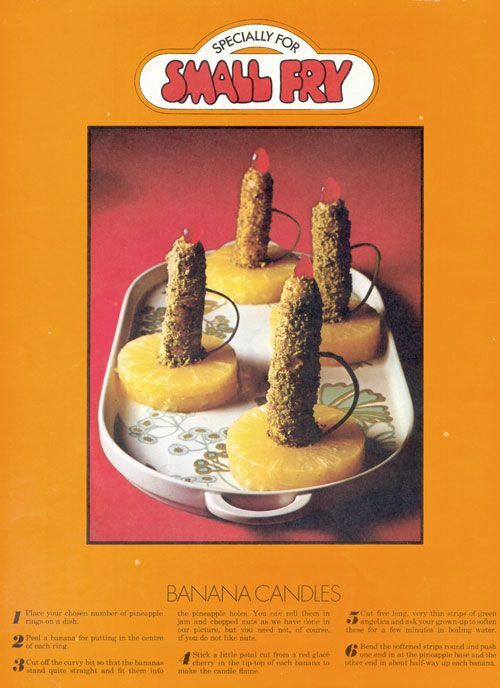 Not all will be gems, I grant you – a prime example being Fanny Cradock’s Banana Candles – but it is worth browsing through them, however dull they appear from the cover, with the aim of spotting something delightful. And finally, for the adventurous, an unusual dessert in the form of a gloriously vibrant beetroot tart: given an official Thumb’s Up™ by my daughter. From the recipe book of Mary Rooke, 1770s. Put the sugar, lemon juice, thinly peeled lemon peel into a bowl. Pour over the boiling water and stir to dissolve the sugar. Cover with plastic and allow to cool. When cold, pour in the boiling milk. NB The lemon juice will cause the milk to curdle. DON’T PANIC – THIS IS FINE. Cover with plastic and allow to cool, then chill overnight in the fridge. Strain the solids out by passing the lemonade through a fine-mesh sieve. Strain the lemonade finely by passing it through a jelly bag, or a double layer of muslin. Be sure to scald the muslin first by pouring boiling water over it, then squeeze out the excess moisture. To have your lemonade especially clear, rinse the muslin thoroughly and double the layers to 4 and pass the lemonade through it again. This will take longer than the first time, due to the greater number of layers of material. Taste and add more sugar if liked. For adults only, you can add 225ml of white wine. Choose one with light, citrus flavours. This is a very refreshing drink similar to an Indian lassi. The milk will tend to separate slightly, so blending the drink just before serving helps combat this. Bruise the rosemary to release its flavour by gently tapping the leaves with a rolling-pin. Put all of the ingredients into a jug. Cover with plastic and allow to infuse for 2 hours in the fridge. Remove the rosemary and strain the drink by passing it through a fine-mesh sieve, which will catch any rosemary leaves that might have fallen from the stem. Using a stick blender or liquidiser, thoroughly mix the drink to an even consistency. Put all of the ingredients into a pan over a low heat and stir until the sugar is dissolved. Bring to the boil, cover and remove from the heat. Allow to steep until cold. Strain to remove solids and chill in the fridge until required. Flat peaches and nectarines are, almost without fail, sweet and juicy, and their flattened shape makes them much easier to eat in public and still retain some dignity. Their shape also make for perfectly sized slices for these shortcakes. These quantities will make 2 shortcakes, each of which will serve 4-6 people. If this is too large for your needs, use just half the fruit and freeze the unfilled second shortcake until wanted. The cream will not hold it’s shape indefinitely, so it is very much a whisk and serve at once ingredient. Fill a pan of water and bring it to the boil. Gently drop the fruit into the hot water for 1 minute. Remove the fruit and place immediately in cold, preferably iced, water for 1 minute. Using a sharp knife, lift the skin away from the flesh and peel. The skin will come away easily. Slice the fruit. Discard the stones. Put the fruit into a bowl and sprinkle with 2-3tbs of caster sugar. Toss gently, and cover with plastic. Set aside for 1 hour while the shortcake is made. Put the flour, baking powder, salt, butter, sugar into the bowl of a food processor and blitz until the mixture resembles breadcrumbs. Tip the mixture into a large bowl. Using a round-ended knife, gradually stir in the milk until the mixture comes together into a soft dough. Tip the dough on to a floured surface and divide roughly in half. Pat each piece of dough into a circle about 15cm in diameter. Place dough circles onto the prepared baking sheet and brush with milk. Put the evaporated milk and icing sugar into a bowl and whisk vigorously until light, frothy and doubled in size. Still whisking, add the lemon juice. The mixture will thicken immediately to a serving consistency. Cut each shortcake horizontally through the centre. Spoon a layer of fruit over the shortcake together with 1-2 spoonfuls of juice that will have formed. Top the fruit with the cream. Lay the top of the shortcake onto the cream and dust all with icing sugar. I’ve tweaked this recipe slightly and baked it in a pastry case, for ease of serving. The original method was for a buttered-and-breadcrumbed bowl. The cooking times are roughly the same. The flavour is very light and delicate, the lemon counteracting a lot of the beetroot’s sweetness. Preheat the oven to 150°C, 130°C Fan. Puree the beetroot until smooth. Add the butter, sugar, lemon, eggs and brandy and whisk thoroughly. Add in the breadcrumbs BUT not all at once. You want them to absorb a lot of the moisture in the filling, which will vary depending on the freshness of the eggs and the moisture in the beetroot. You might not need all of them. The texture should be similar to a sponge cake mix, but still pourable. Add the filling to the pie shell and place the tin on a baking sheet. Bake for 25-30 minutes until the filling has set. Turn the baking sheet around after 15 minutes to ensure even baking. The recipe this week has two relations on the blog – firstly to last week’s Diplomacy Cake and also to the recipe for Cream Cakes of a few months ago. It’s a deliberate follow-on cake from last week’s triple stack of deliciousness in order to give you something to use up the rest of the prunes you rushed out to buy for one of the cake layers. You DID rush out and buy prunes, didn’t you? To make the cake? Hello?? Please tell me you bought prunes! This cake is also related to the Cream Cakes recipe in that it contains no butter, but instead substitutes a tin of sweetened condensed milk instead of the previous double cream, making it a fantastic store-cupboard cake. As you can see from the top picture, it’s a very light and pale sponge, which is perfect for absorbing moisture from its sweetened creme fraiche filling/coating. Soak the prunes in warm water to make them really soft and unctuous – you can even add a little splash of booze if liked. Allow the filled cake to mature overnight – the cake becomes melt-in-the-mouth soft and the cream sets like cheesecake – and enjoy for breakfast with a mug of sherry tea. Put the prunes into a small pan and cover with cold water. Add alcohol if liked. Bring the pan to a simmer, then turn off the heat and allow the fruit to steep. Grease and line a tall, 20cm cake tin with parchment. Whisk together the eggs and condensed milk until pale and frothy. Sift the baking powder and flour together, then whisk into the egg mixture. Pour the batter into the prepared cake tin and bake for 25-30 minutes until the cake is risen, slightly shrunken from the sides of the tin and a toothpick inserted into the middle comes out free of liquid cake mix. Using a balloon whisk, gently mix the icing sugar and vanilla into the crème fraiche. Don’t over-stir, as it will make the cream more liquid. Drain the prunes. Sort out 8-10 of the best-looking fruits to decorate the top of the cake. Cut the rest into quarters and divide into three portions. Cut the cooled cake into four layers. Put the bottom cake layer onto a serving plate and cover with a generous 2cm layer of the sweetened crème fraiche. Sprinkle over one of the portions of prunes. Repeat with the other layers and finish by coating the whole cake with the remaining cream. Arrange the reserved prunes over the top. Cover lightly with cling film and allow to mature overnight in the fridge. Let the cake return to room temperature before serving. Cover any unevenness in the cream coating with judicial employment of lightly-dusted cocoa powder. Haven’t done one of these in ages – cake! An actual cake! And not a whiff of yeast to be had – yes, I’m well aware not everyone shares my current obsession andit has been a bit yeast-heavy so far this year. So here’s a cake with a difference. Well, several differences, actually: the flavourings of the layers, the ingredients in said layers, the unusual cream sandwiching everything together….. This recipe is adapted from something I found on a Russian message board. It’s a distant relation of the Russian Honey Cake in that it requires time to allow the cakes to soften to a delicate crumb, but since they are cake-y to start with, as opposed to biscuit-y, the whole thing ends up beautfully light. I’ve found versions of this cake listed under a variety of names, but I’ve opted for Diplomacy Cake because the three similar-yet-different cake layers all work wonderfully well together, whilst remaining distinctively separate – which seems to me to be the very epitome of diplomacy! The three cake layer flavourings are a little different to those we’re used to in the UK – poppyseed and walnut, prunes and chocolate chips and rich raisin. In addition, the cakes are moistened with a suitably boozy syrup before being sandwiched together with a home-made cream mixture ‘stabilised’ with gelatine. This allows the cream to retain it’s volume and become mousse-like as the moisture is absorbed into the cake layers. It is the home-made (and much nicer) equivalent of Cool Whip. This cake is great to make ahead, if you’ve got a special event coming up, or even if you just feel like an indulgent weekend without having to spend the preceding hours making it: make it Friday night, eat for breakfast Saturday! Potato starch is gluten free and makes for a very light cake. You could substitute rice flour or even use 100% wheat flour. NB Dried potato is NOT the same thing at all. Citric acid, together with the bicarbonate of soda, reacts with the dairy to raise the cake. You can substitute with ordinary baking powder. Citric acid is available at pharmacies. You will probably be asked why you need it. It’s simplest to say you’re making lemonade. I’ve replaced the original sour cream with reduced-fat creme-fraiche. Feel free to reinstate it for a much more decadent cake experience. I used mead as the alcohol base – use whatever your favorite tipple is. These quantities are for one cake layer. You need three layers altogether. The different flavourings are listed below the main cake recipe. Grease and line a 24cm diameter spring-form tin with baking parchment. Whisk together the egg, sugar and vanilla until light and foamy. Mix in the creme fraiche. Sift the flours with the bicarb and citric acid. Gently combine the flour mixture into the wet ingredients. NB Using a balloon whisk will achieve this much more easily than folding-in with a spatula. Stir through the nuts and seeds/fruits. Pour the mixture into the prepared tin and smooth out evenly. Bake for 12-15 minutes until risen and firm to the touch. It will be a shallow cake, no more than 3cm in height. Repeat twice more until all three layers have been baked. Mix the sugar and water in a pan over low heat until the sugar is dissolved. Remove from the heat and add the alcohol. Soak the sheets of gelatine in cold water until bloomed. Mix the caster sugar into the creme-fraiche until just combined. Add the icing sugar, vanilla and alcohol to the double cream and whisk until thickened. Melt the bloomed gelatine in a small pan over a low heat. Add a little water or more alcohol to dilute. Mix the two creams thoroughly and then whisk in the gelatine. It will make for a soft cream that holds its shape when piped. I didn’t trim the layers to an even height, because I would probably have ended up throwing the trimmings away (and I hate waste), but you could easily trim them for a more delicate overall appearance, as well as making them more open to absorbing the soaking syrup. Lay the poppy seed and walnut layer onto a serving plate and brush over 100ml of the soaking syrup. Spread or pipe one third of the cream over the cake. It will appear quite a thick layer initially, but as the moisture is drawn into the cake overnight, it will slowly settle. Lay on the prune and chocolate layer and repeat with the syrup and half of the remaining cream. Finally place the raisin layer on the top upside down (to give a nice flat top to the cake), soak with the syrup and spread or pipe on the last of the cream. Cover lightly with cling film and allow to mature overnight. If you have no cool place to leave the cake, it can go in the fridge, but you should give it time next day to soften before cutting. Sprinkle with a little cocoa just before serving. The recipe this week is a wonderful cakey-pastry-thingy (technical term) from Ukraine. They are probably best described as a cross between a cheesecake and a scone and are light as a feather and just a joy to eat. The scone pastry is gently folded around the sweetened curd cheese filling and then baked for just 20 minutes. Unfortunately, these aren’t what you’d call spur-of-the-moment bake, as they require some well-drained curd cheese for the filling. Now it is possible to find curd cheese in your local supermarket, but if they’re like the ones round here, it’s not always on the shelf, so instead of schlepping round all of them to see who has it in this week, if any, it’s easier just to make your own. This too will require a little planning, in that you’ll need to get hold of some vegetarian rennet and some cheesecloth or muslin in which to drain your curds. Once you’ve got your hands on these items, it’s simplicity itself. To make about 500g of cheese curds, you’ll need 4 pints of milk. Whole milk is fine, Jersey milk is richer, raw milk if you can get it would be amazing. Bring the milk to just above blood temperature and turn off the heat. Add 12 drops of rennet per pint of milk (48 in total), swirl to mix, cover and leave to cool. As it cools, the milk will set into curds. When cool, gently break up the curds with a spoon. Pour boiling water over your muslin or cheesecloth to scald it, then line a colander with it. Put the colander over a saucepan and spoon the curds into the cloth, letting the whey drip through. You can either leave the curds to drain in the colander, or tie the corners of the cloth together and hang the curds up to drain, preferably overnight. Remember to put a pan or a bowl under to catch the whey, and also remember to tell your husband not to grab said pan/bowl when he’s looking for things to fill up the dishwasher…..
To ensure really well-drained curds, in the morning you can return them, still inside the cloth, to the colander and put a weight on top (some tins or jars will do) to press out the last of the moisture. Don’t worry (for this recipe) if the quantity of curd is less than 500g, this is very much a That’ll Do™ recipe. Save the whey and use it as the liquid when making bread – it makes for a beautifully soft crumb! The scone component of this recipe is slightly unusual in that there’s no hard and fast quantity of flour to add – it all depends on the moisture content of the rest of the ingredients. The flour is added last and you should stop adding when you feel the dough is together enough to handle/roll. Do not feel obliged to use all the flour! Put all of the filling ingredients into a bowl and whisk together until thoroughly combined. Set aside. For the dough, cream the butter and the sugars together until light and fluffy. Add the salt, creme fraiche and eggs and whisk until smooth. Measure out 500g of flour and sift it with the baking powder. Gradually add this flour into the wet ingredients, mixing thoroughly. If the dough still seems a little soft, gradually add some of the extra flour until workable. When it’s firm enough to handle, tip out the dough and knead smooth. Roll the dough out to about 1cm thick and cut out circles of diameter 12cm. A fluted, individual tart tin is just about ideal. You can, of course, make smaller sochnikis – roll the dough thinner, use 1.5tsp filling and reduce the cooking time accordingly. Put a heaped tablespoon of the filling onto each circle and lightly fold over the other half of the dough, leaving the edges open. Transfer the pastries to the baking sheets. Mix the yolk and the milk together and brush over the tops of the pastries. Use the tines of a fork to mark the tops with an attractive pattern. Bake for 20 minutes, turning the baking sheets around after 10 minutes to ensure even colouring.